One, because I don’t have clear memories of the very earliest years of my life, and thus I had to cheat and pick songs which either my parents played for me deliberately or that were iconic in popular culture at the time, that left enough of a mark for me to remember them from some later point in my childhood. And two, because once I really started to deliberately seek out new music to listen to in my teenage years instead of just absorbing whatever was around me by happenstance, it opened up the floodgates to the point where it’s hard to pick a single representative song for a lot of the later years of my life. But it’s been a fun challenge nonetheless, because I think it really gets at the nuts and bolts of what sparked my initial interest in music, how it might have been shaped by early events in my life, and how that all contributed to the sense of identity I’d wind up with after four decades of existence. Here are my first impressions of the latest releases from Chatham County Line, Sean Watkins, Jimi Goodwin, Weird Al Yankovic, Anberlin, and Jars of Clay. Weird Al Yankovic – Mandatory Fun: Weird Al Has a Big Dictionary. 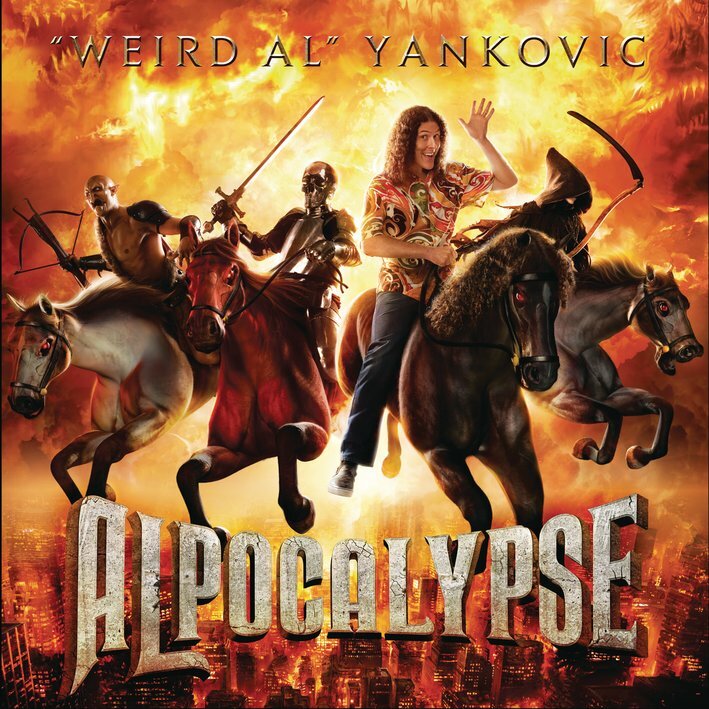 In Brief: A slight improvement over Alpocalypse, but Weird Al is definitely at his best when he can get his parodies out the door in a timely manner. Since this is the last album on his contract, perhaps having to wait 2-3 years to release a parody of something current will no longer be an issue. Weird Al Yankovic – Alpocalypse: The world won’t end just yet. Weird Al’s figured out how to recycle. In Brief: Flawed, and almost half previously released material, but most of it’s still funny. I’d probably appreciate more of it if I were more in touch with pop culture, honestly.